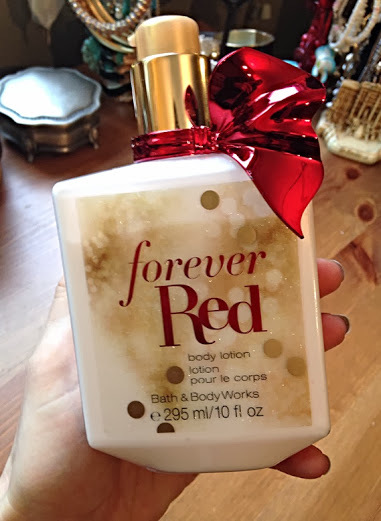 I was first introduced to the Forever Red Collection by Bath & Body Works from one of my lovely girlfriends and immediately fell in love with the smell/packaging! 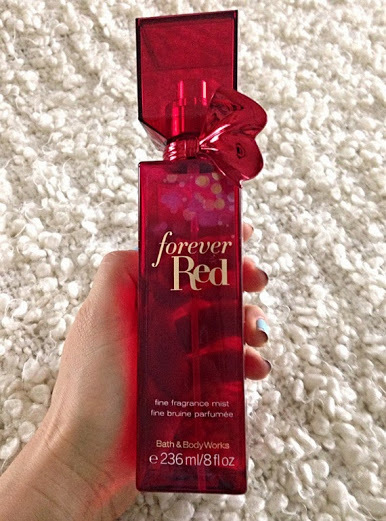 The smell reminds me of a combination of pomegranate, vanilla, apple, and oak-wood - A perfect scent for fall/winter. I found the triple moisture body cream to be a lot more effective than the body lotion, which isn't nearly as overpowering. If you are picking between the two definitely go for the triple moisture body cream as it not only gives you more moisture, but I found the scent to last a bit longer. I was most let down by the fragrance mist as it started off extremely overpowering and within 5-10 minutes I could barely smell it. A bit disappointing actually. I still like to use this from time to time, but usually combine it with another fragrance mist to strengthen the smell. 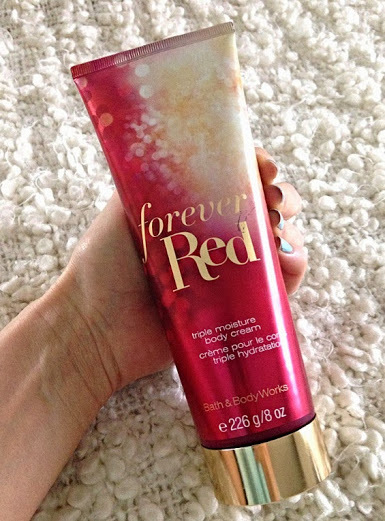 This body lotion is a lot lighter than the triple moisture cream and goes on a lot better. However, like the fragrance mist, I find that it doesn't last nearly as long. Bit disappointing, but the lotion still works great and perfect to use right after the shower. Do you have any body lotions or fragrances that you love or hate? Leave your comments below!